In 2010, we began investing in studies into reducing and reversing the effects of spinal cord injuries. Almost a decade later, we have funded $1.575 million in SCI research. The discipline has made incredible progress, and leading scientists are hopeful about the prospect of finding a cure in the near future. The brain and spinal cord are your body’s central nervous system. The brain is the command centre for your body, and the spinal cord carries the messages back and forth from the brain. In a spinal cord injury (SCI), the pathway between the brain and spinal cord is disrupted. Most people understand a SCI to mean simply the loss of sensation or of the ability to walk, but for the majority of victims of spinal cord injury, the implications extend much further. The spinal cord is indispensable to the regulation of the most important bodily functions including heart rate, sexual function, breathing, temperature, and bladder and bowel control – which means that some or all of these functions are often lost when it is damaged, depending on the injury. 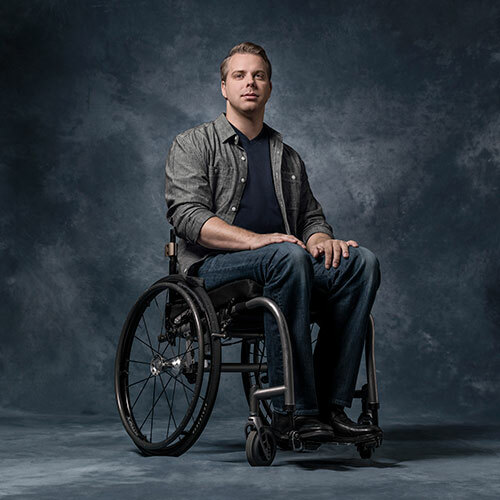 In addition to the dramatic physical implications, there is a huge financial burden related to spinal cord injury – both as a result of high medical costs and a potential loss of earnings. Spinal cord injury can happen to anyone at any time, and the dramatic consequences mean that it completely changes the lives of those affected, with outcomes for people in the developing world especially stark and often fatal. In spite of this, SCI research is staggeringly underfunded, with perceptions of the condition as ‘incurable’ and ‘not life threatening’ leaving it side-lined in the medical research community. Thanks to epidural stimulation, people like me, who were told that recovery was impossible, are now embracing a four-letter word–hope. Hope that someday we will get out of these chairs but, more importantly, enjoy a healthier, more independent life thanks to technology. 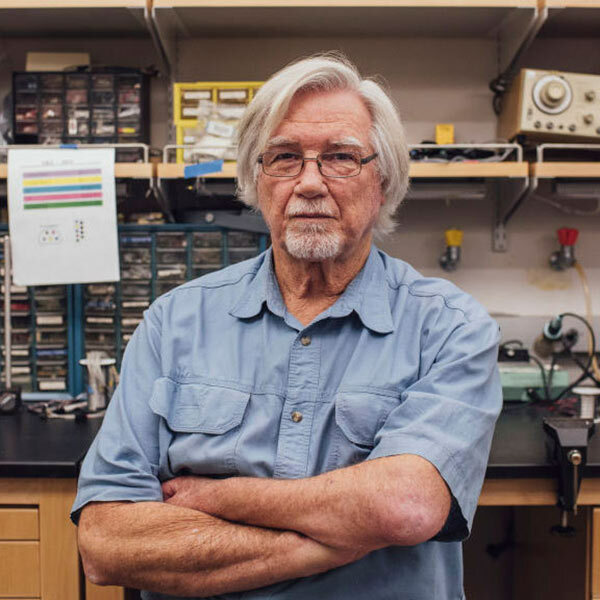 In 2016, we fulfilled our $1 million commitment to Dr. Reggie Edgerton’s lab at the University of California, Los Angeles. Thanks in a large part to our funding, the lab was able to develop a groundbreaking treatment known as epidural stimulation, which involves implanting a small device, about the size of a french fry, near the spinal cord, which uses electrical currents to excite the muscles. This treatment, combined with intense physical rehabilitation, enables the spinal cord to be re-engaged. To date, it has allowed nearly a dozen patients to regain the ability to voluntarily move their own limbs. The logical next step is to harness this technology in the safest, least invasive way possible. To do this, Dr. Edgerton’s lab is developing a new technique known as transcutaneous stimulation – which uses the same concept as epidural stimulation, but delivers the electrical currents through the skin, removing the need for an implant. In 2017, excited by the promising results arising from epidural and transcutaneous stimulation, we decided to fund two studies that take this research one step further. This clinical trial will study the impact of epidural stimulation on 36 individuals with chronic spinal cord injuries, and evaluate the effectiveness of the treatment in improving cardiovascular function, standing and voluntary movement, as well as assessing improvement in sexual, respiratory and bladder function. Additionally, The Big Idea will track the impact of this intervention in alleviating the financial burden of spinal cord injury on individuals and the healthcare system. We have committed $300,000 over 2 years to support one individual through the trial, in the hope that the implantation of an epidural stimulator will not only make a real difference to their life, but also make a lasting contribution to research in this field. Loss of bladder control is one of the most serious effects of SCI and can seriously hinder independence and quality of life. It also dramatically increases the risk of urinary tract infections, which can be fatal, especially in the developing world where access to healthcare is limited. Surveys among SCI subjects revealed that bladder function was ranked as their most important health priority – higher than walking, pain and sexual function! That said, little progress has been made in developing any intervention that will enhance bladder function after SCI. This study is a promising study into bladder control, whereby the team aims to make SCI patients completely independent of catheters by having them use a transcutaneous stimulation device several times a day to voluntarily empty their bladders. This will improve significantly their quality of life, as well as that of their caregivers and immediate family.